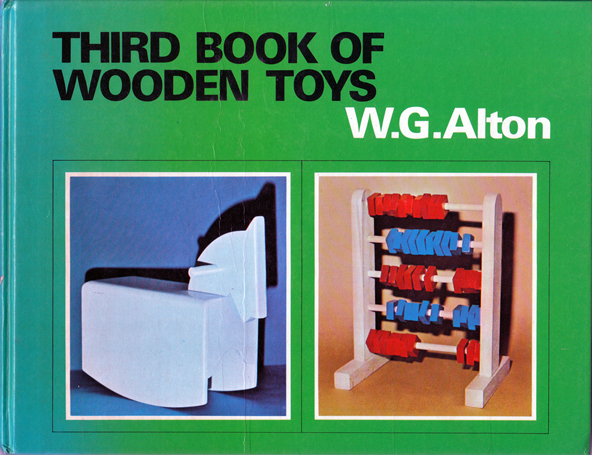 Description: "This third book of toys to make in wood illustrates that this is a wide field of creativity, giving satisfaction to the maker and giver of the toy as well as to the child who plays with it. The designs [given] presuppose that the reader already has experience of some of the basic skills of woodworking, and will want to work out his own ideas for himself. So [the] instructions are not detailed; but they pass on certain techniques and know-how acquired after much trial and error. [It is] hope[d] this guidance will be helpful and stimulating. 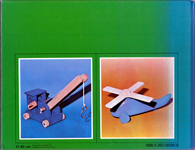 Suggestions for finishing the wood by means of paints and varnishes are given at the back of the book, together with suggestions for making a sawing block and drilling jig. Metric measurements given in this book are alternative measurements and are not exact equivalents." 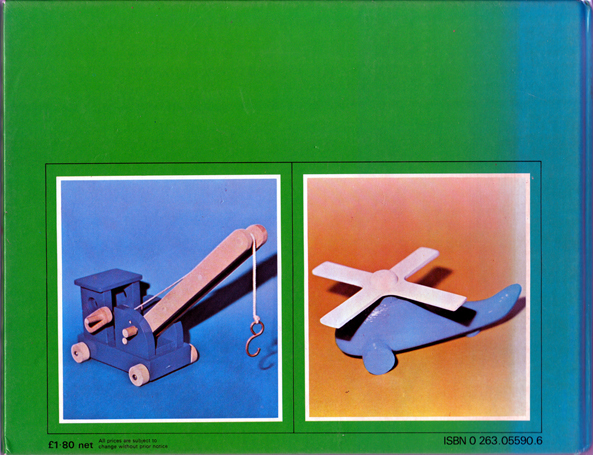 Of the 29 projects included, those of particular interest are two excellent models of a fully-working crane (one mobile, the other static), and two variations of an early electronic learning toy – an 'Information Box' and an 'Information Board'. Illustrated with full-page b&w photographs of the finished articles, plus clear diagrams. Glazed pictorial boards have become discoloured near the spine through exposure to sunlight (refer to images). Front cover slightly creased. Spine and lower corners are bumped; upper are largely straight. Internally, the book is as new: the pages are white as snow. Measures 19 cm × 24.5 cm (7.5″ × 9.8″). Landscape 12mo. 96 pp.